General Motors / Chevrolet India has recently launched Chevrolet Tavera Neo3 2012 facelift in India with new BS4 compliant diesel engine with more power and torque. The Chevrolet Tavera new model is more powerful and comes with some cosmetic upgrades. Tavera is very popular in commercial fleets and as people mover in India with about 1.5 lakh units sold in India so far. During the launch of Chevrolet Tavera, we interacted with GM India President and MD, Lowell Paddock and VP of Corporate Affairs P Balendran who gave us some insights about the launch plans of Chevrolet India in the coming year 2012. 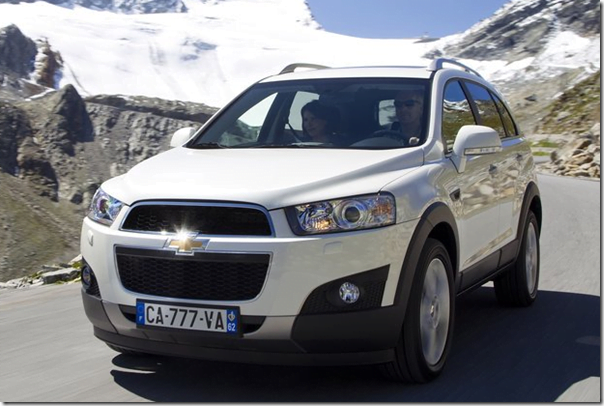 Among the very first launches will ne the new Chevrolet Captiva 2012 which was showcased at the Auto Expo 2012 in New Delhi in January 2012. As confirmed by Mr. P Balendran, the Captiva will be launched in April 2012 in India which is just a few weeks away. The new facelifted Captiva comes with a 4 cylinder 2.2 Litre Diesel engine with peak power of 187 BHP and peak torque of 424 Nm. The new Captiva is much awaited in India and will compete with like of Toyota Fortuner, Honda CR-V, BMW X1 etc. 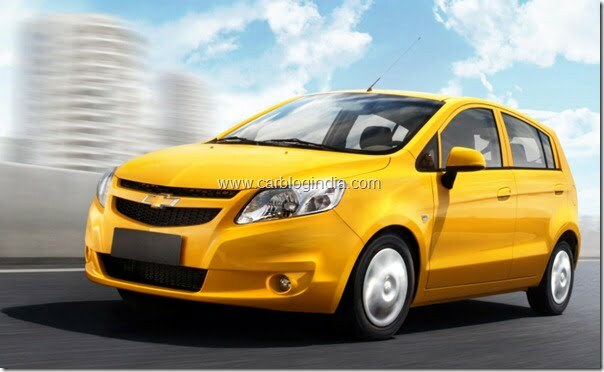 Second interesting confirmation was about the Chevrolet Sail hatchback which is confirmed to be launched in the second half of year 2012 which means anytime after June 2012. The Sail Hatchback as well as Sedan will reach India, but first the hatchback will be launched. Both these cars are developed by GM and SIAC in China and are doing well in Chinese markets, GM is optimistic about these two cars for India as well. 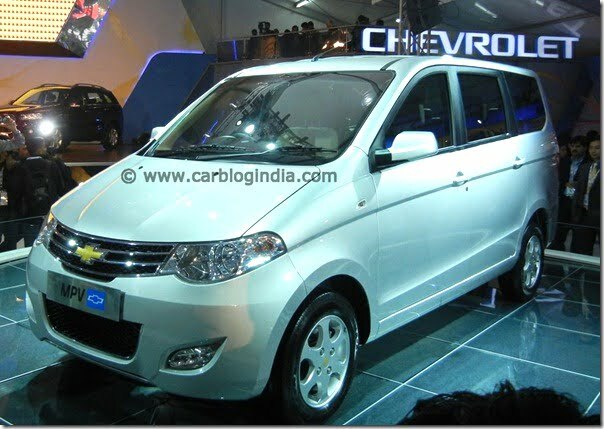 The Chevrolet Enjoy MPV is also on the launch plan for second half of 2012. When we asked about the placement of the Enjoy MPV compared to the Chevrolet Tavera, Mr. P Balendran replied saying that the Enjoy MPV is a segment higher and the feature sets will be more targeted towards passenger car buyers and not commercial or fleet cars, so the placement will be slightly different. Apart from these, on being asked about a facelift of Chevrolet Spark or about plans to revive the Chevrolet Spark small car, Lowell Paddock replied that they will reveal something about the new Spark in the second half of year 2012. However Lowell did not reveal any details whether it will be a facelift or a new engine, but we expect that GM India may bring a much talked about lower priced Chevrolet Spark 800, a smaller engine Chevrolet Spark with a fuel efficient 800 CC Engine, which has been in rumors for many years now and may finally come out in year 2012. 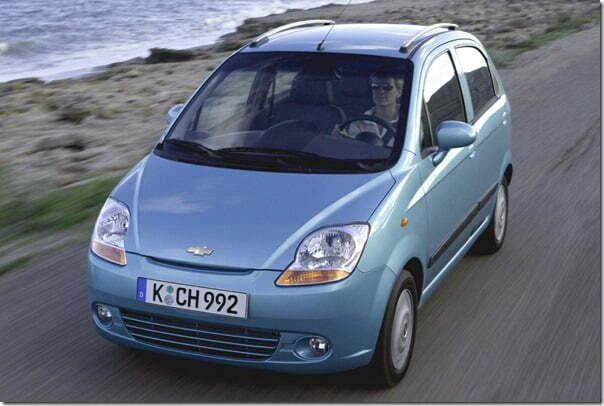 If it comes out to be true, it may become one of the highest volume product by Chevrolet India surpassing Chevrolet Beat. The reason for the same is that there are barely two players in 800 CC Segment in India, the Maruti Alto and Hyundai Eon, and there is huge scope for competition in this price and engine segment in India as this is the largest selling car segment in India. We will keep an eye on the new developments and will keep you updates. To get the latest information from us, sign up for our free email newsletter and like our official Facebook Page.